The best day to start is on any Thursday we will introduce you into the arts slowly. If you cannot make thursdays, we will fit you in somewhere. I am not very fit. Does that matter? The instructors will work with you to help you achieve your goals. You will be so involved in making shapes that you will get fit and lose excess weight without knowing it. Just loose clothing e.g. T-shirts, jogging bottoms, or if you like to wear martial arts clothing, only the official Tang uniform can be worn. We welcome any students who have trained somewhere else other than Tang. 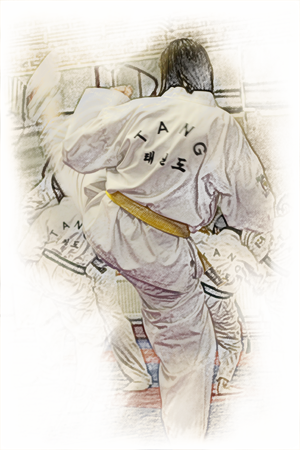 People who have previous Taekwondo training, bring in a certificate or evidence of your grade, we will convert you to our belt system, so you can carry on at your level and not go right back to the begining.